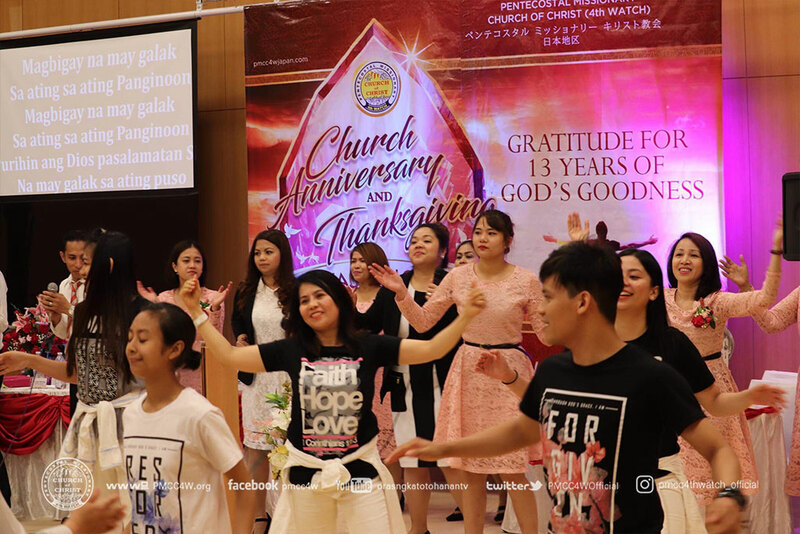 In Japan, August is the time for summer festivals and vacation but in the Pentecostal Missionary Church of Christ (4th watch), it is the month when most of the local churches celebrate the goodness of God through Anniversaries and Thanksgiving. 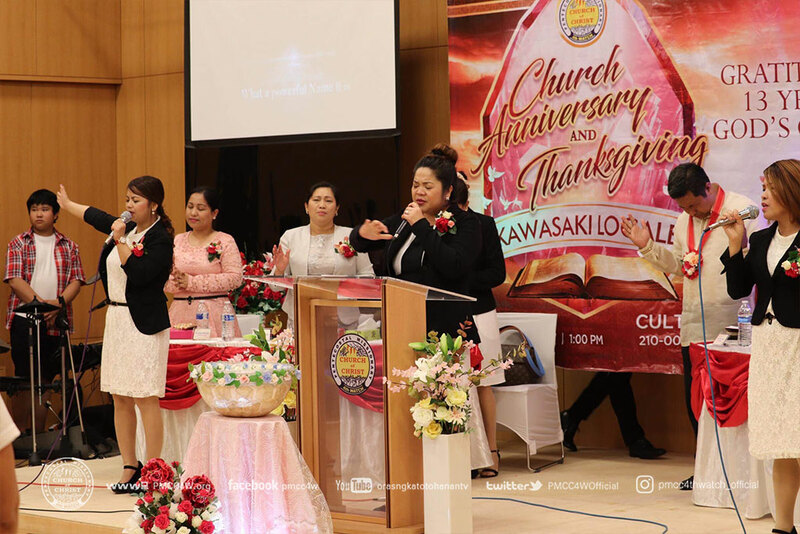 Last August 5, Kawasaki Locale victoriously held its 13th Church Anniversary at Culttz Kawasaki. 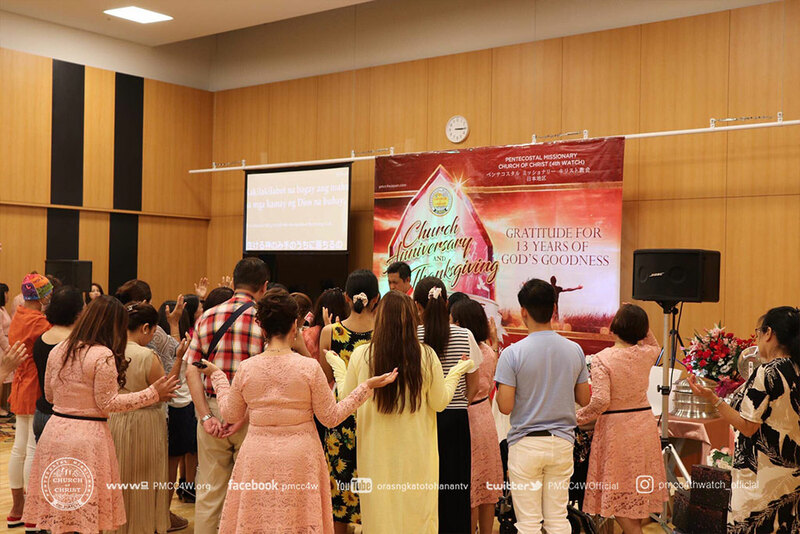 With the theme “13 years of Gratitude for God’s Goodness” taken from 1 Chronicles 16:24, the church glorified the Lord with a deep appreciation of His marvelous works since 2005. Sis. 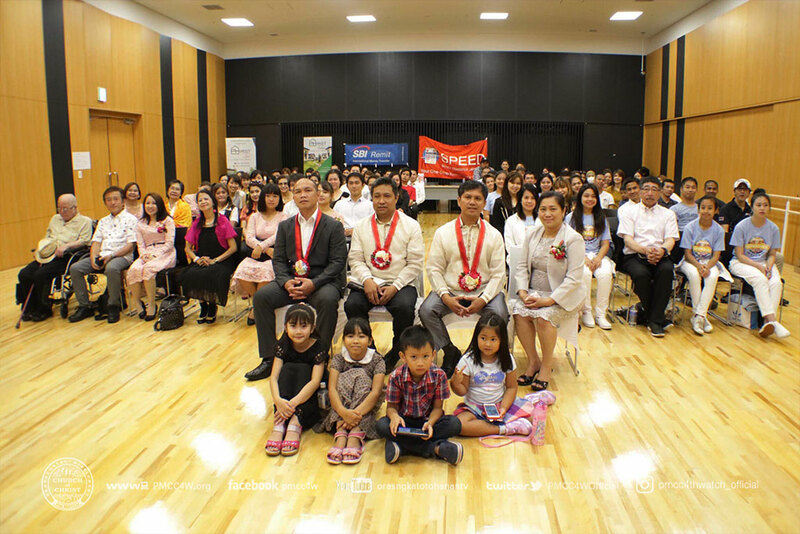 Ivy Vencer, the Master of Ceremonies, tearfully praised the name of the Lord for calling His people and establishing a church in Kawasaki. Sis. 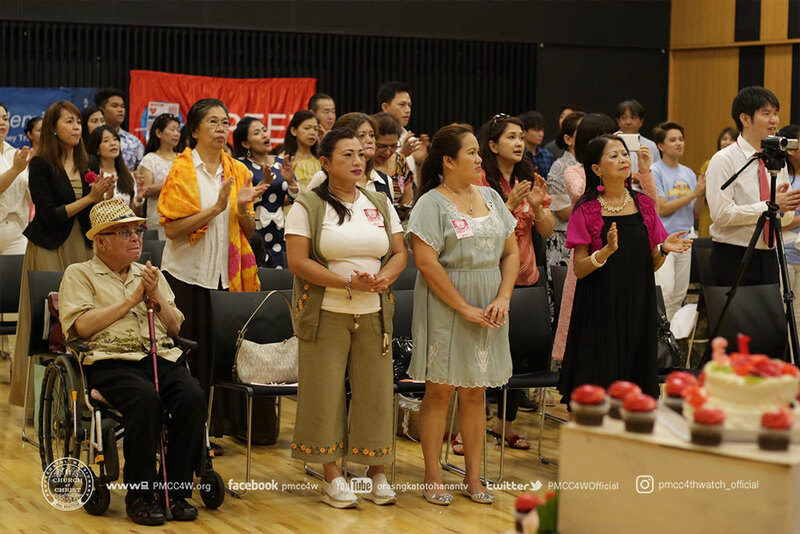 Archie Subido then led the congregation with energetic and soulful hymns and praises unto the Lord followed by an Invocation led by Sis. Che Antonio. The reading of the Scriptures was led by Bro. Bhong Subido and a duet by Sis. Cielo Shinjo and Sis. 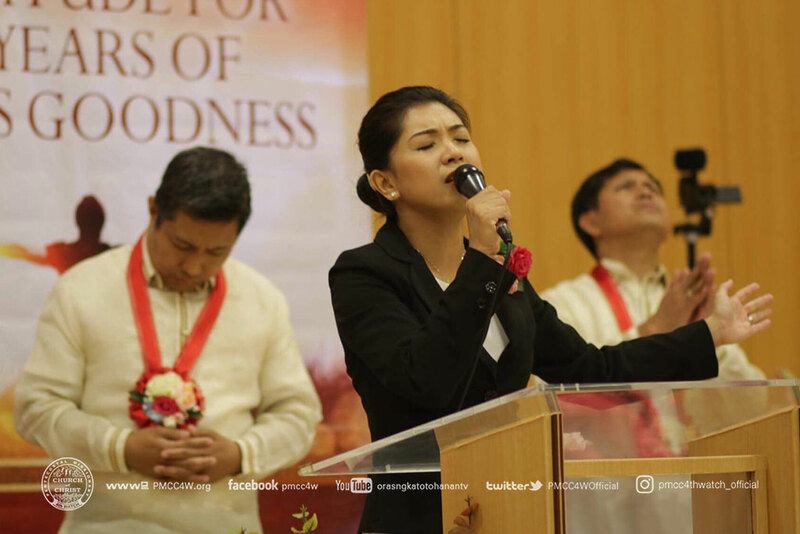 Chantal Magpayo lifted the name of the Lord. 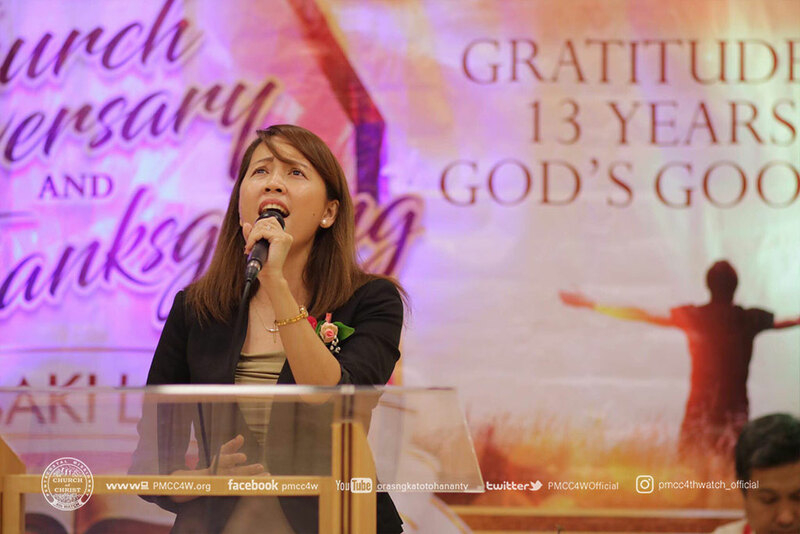 Afterward, Kawasaki Locale Pastor Jennifer Balawang officially welcomed the brethren and guests to the joyous celebration and Sis. Berns Maeda delivered the Announcements. Sis. 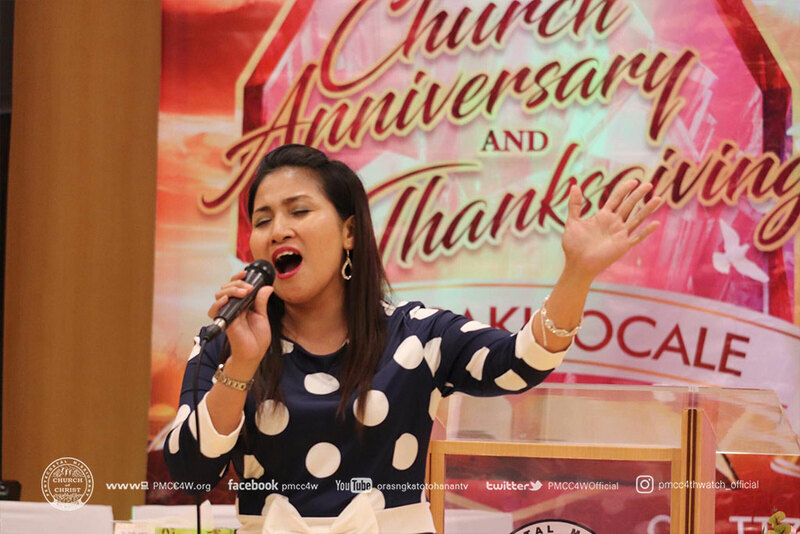 Lala Miclat, an elder from Marikina Locale, rendered another Song of Praise unto God. 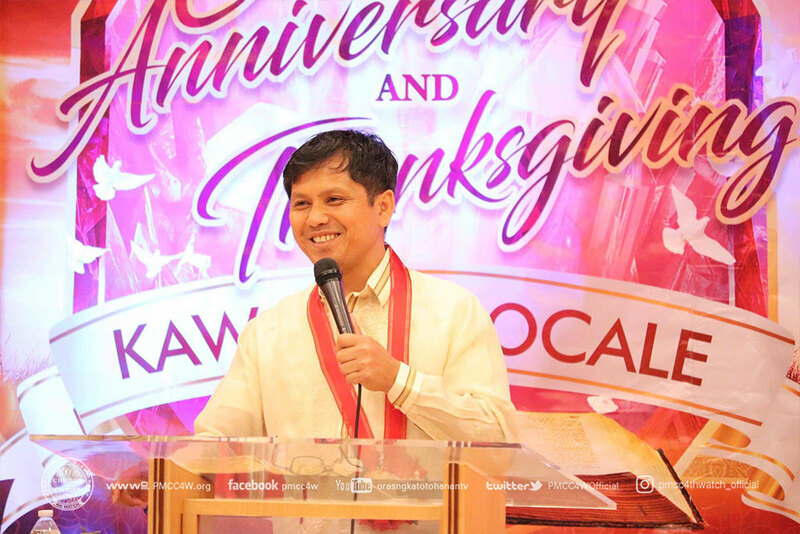 Kawasaki Locale Head Pastor Vench Balawang conveyed the message of God’s blessings and generosity in his Offertory Message. As God’s children, we ought to give thanks to the Lord as much as we are able, even beyond our ability. 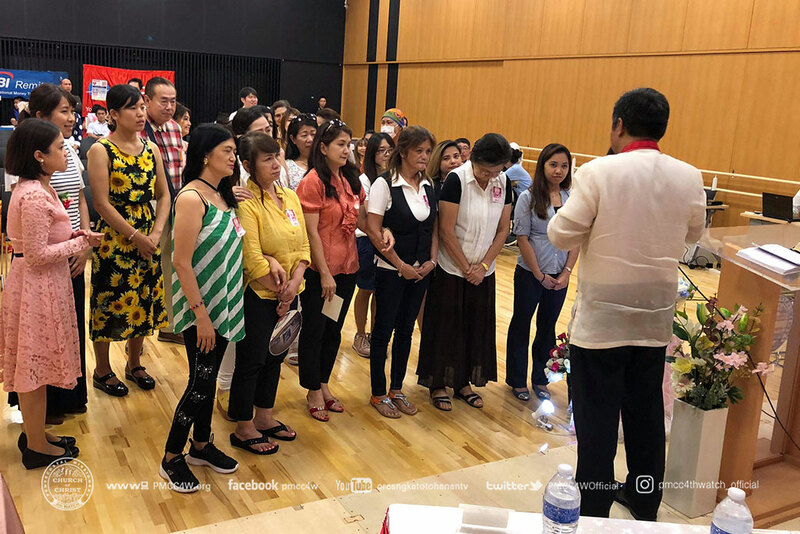 He said, “Kailanman ang Dios ay hindi nanghinayang sa pagbibigay ng biyaya sa atin, kung sa puntong tayo’y dapat magpasalamat, gawin natin ang higit sa ating makakaya para sa kanyang kaluwalhatiian.” Then, the Kawasaki Choir offered a delightful song to glorify the name of the Lord. 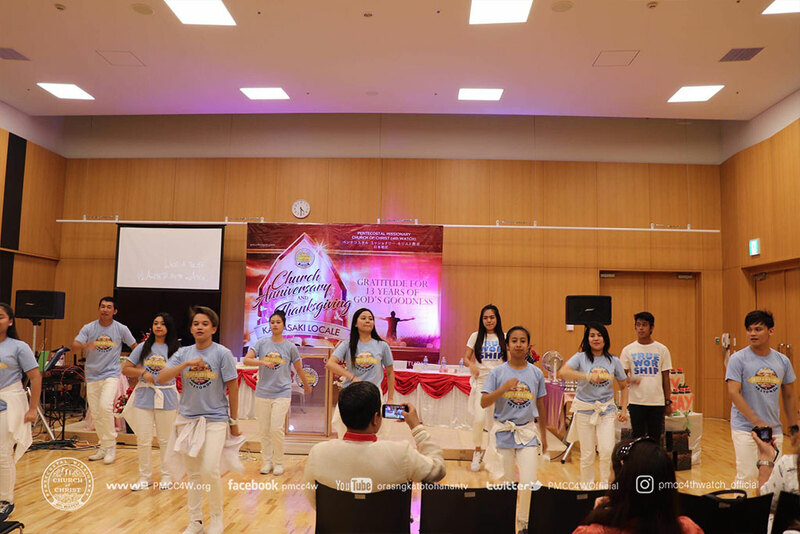 The event’s guest speaker, Saitama Locale Head Pastor Vic Fuerte, shared the different ways to express our gratitude for God’s goodness in our lives especially for us who were forgiven from our sins, saved by the blood of Christ, and given a chance to serve Him. Deeply touched by the message of God, the brethren were in tears as Pastor Vic uttered the words,“Ang Dios ang magliligtas sa atin sa oras ng kabagabagan at sa lahat ng oras ng ating buhay.”He then invited the guests who would like to receive God’s salvation in the altar and he prayed for those who are sick and in need of healing. 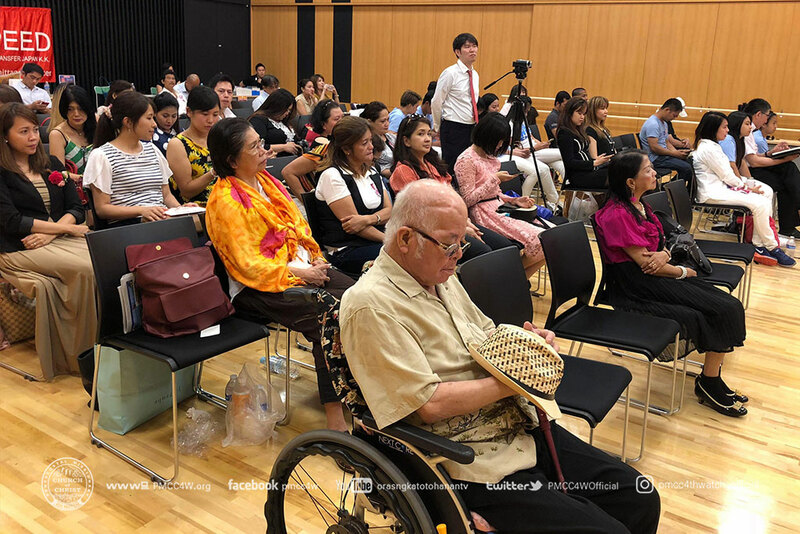 After the worship, the guests enjoyed a sumptuous meal followed by a charity concert featuring the brethren from Saitama, Chiba, and Kawasaki Locale Churches. Some guests also took home special prizes during the raffle draw. 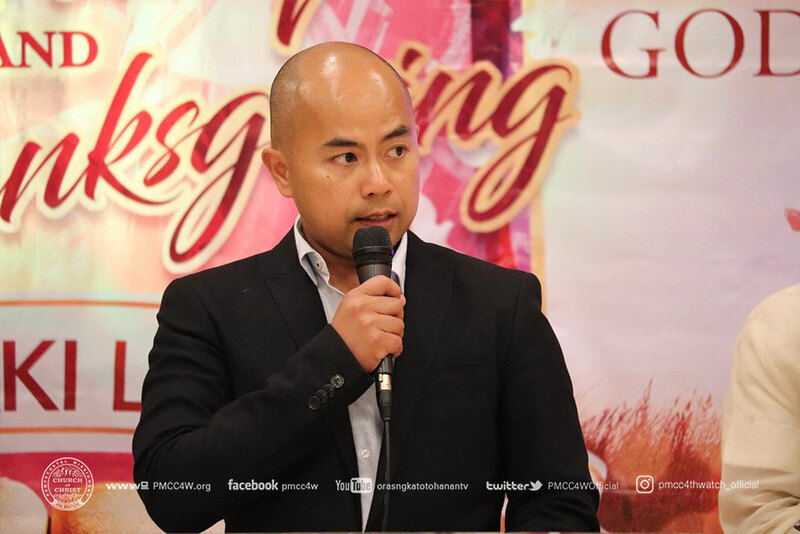 The event concluded with Pastor Vic Fuerte’s brief message on glorifying God with our talents, praises, and offerings. 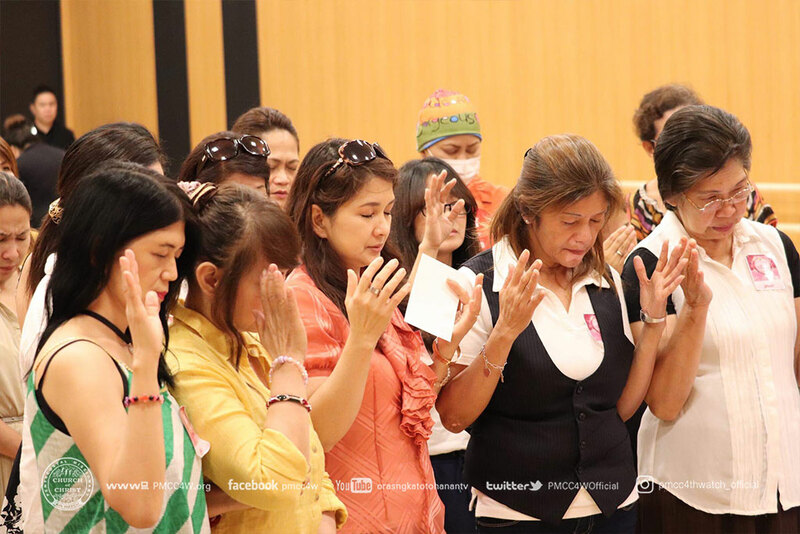 God’s magnificent work in the Church is a testimony of His love and mercy to the people who faithfully serve Him. 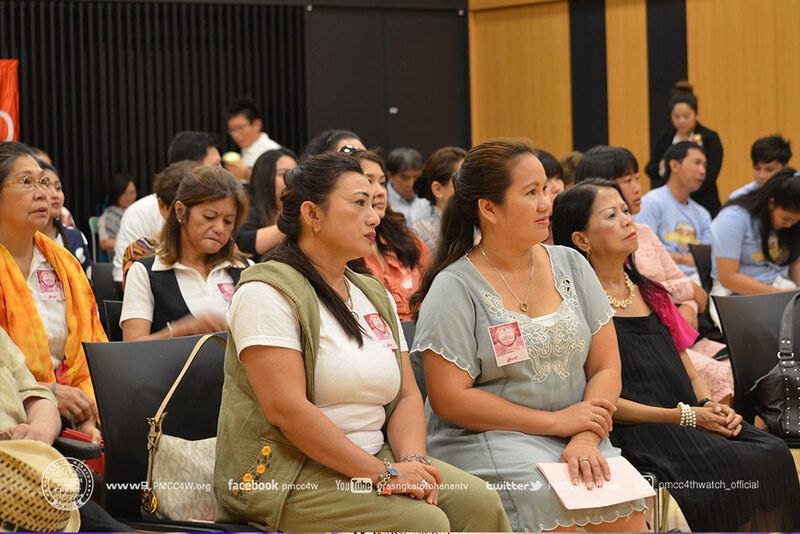 The brethren and guests went home with their hearts filled with joy and gratitude for God’s goodness in their lives.